The Six Sigma certification process was first introduced in the 1980s. The purpose of the program was to reduce defects which occurred with great frequency within the manufacturing industry. Due to an evolvement of the process through its use in several different sectors, Six Sigma certification today is recognized as a highly effective tool in the service sector as well. 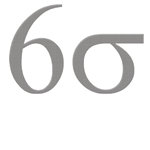 The principles of Six Sigma certification help financial companies improve the quality of the services they offer. The methodology used in the banking industry is DMAIC; define, measure, analyze, improve, and control. Define: This concept refers to Six Sigma certification professionals who define the objectives and boundaries of certain business processes. The procedures are defined with the contributions of both employees and senior management. In the case of banks, the main objective will usually be customer satisfaction. This means that all the processes which involve customer interactions or which directly contribute to customer satisfaction must be defined. These processes may include request processing, CD rollovers, new account openings, teller procedures, and so on. Measure: This stage of the DMAIC process means that Six Sigma professionals deploy quantitative procedures to collect statistical data in consultation with the business managers. The data collected will then be used to measure the way customer satisfaction is impacted by the different business processes. There will be different processes which have different impacts on customer satisfaction, and financial considerations will prevent every process from being measured. This means that individual processes must be prioritized and the measurements can then be used to assist banks in concentrating on processes with the greatest effect on customer satisfaction. In the industry, that usually means a focus on wait times; observers can be used at branches to measure the average wait times under a variety of conditions. Analyze: The data collected during the measure phase of DMAIC are now looked at in the analyze phase. The analysis will take place under predefined parameters in order to look at the processes which can be improved upon at minimum cost to the organization. The analysis will cover every aspect of a business process directly affecting customer satisfaction, from check cashing onward. In that case, the phase would take a look at the different steps involved in check cashing and ascertain which step could be addressed to make the action as fluid as possible. Improve: Once the steps are analyzed, the improve phase comes into play. This means that corrective measures are applied in order to cut down on wait times involving customer satisfaction. The measures are put into place with the consultation of both staff and the branch manager, and based on facts and statistics. At this point, one should use advanced simulation tools to study the impact of the initiative on business processes. Control: Control is similar to measuring, but with an important difference. What is being monitored are not previous processes but rather the improvement measures that have been put into play within different areas. If the process is still not living up to Six Sigma certification levels, the process will be taken back to the define phase. If it is only a small problem preventing the realization of goals, on the other hand, corrective measures can be taken and going through the entire process again avoided. This entire methodology has been employed by banks to great success over the last few decades and has seen many note a marked increase in service delivery and customer satisfaction.